The political and banking buffoons DESTROYING our world are certainly making me look smart, although I have mixed feelings about writing novel-length RANTS in front of major holidays. Fortunately for readers, that’s what you’ll get, as aside from the very important message I want to share, I am faced with a RECORD LONG list of “horrible headlines,” with the morning still young. As always, let’s start out East, where for once Japan has escaped the headlines for a day. Unfortunately, China has NOT, as it is becoming crystal clear the “great Chinese miracle” is no more immune to the Western contagion than anyone else. Not that China’s financial system will collapse – it WON’T – but its economy is highly sensitive to Western world activity, exacerbated by extreme PBOC (People’s Bank of China) money-printing and lending that have led to overbuilding across the nation and, subsequently, a dangerous housing bubble. Sound familiar? …but manufacturing activity is threatening to collapse to the levels of GLOBAL MELTDOWN I three years ago, which in hindsight will be remembered, relatively, as an economic boom. Keep in mind, a major slowdown in Chinese business activity will likely yield a draconian government response, given that the Chinese government needs to both feed 1.7 billion people and preserve the value of its $3.2 trillion (and growing) currency reserves. In Europe, a new meaning to the word “unravel” is being written each day, as the final catastrophic Greek tragedy unfolds. The continent’s Union is being attacked on all fronts, soon to be splintered for decades to come, hopefully not ushering in the next great wave of military conflict. In Greece, all hope is lost, and frankly I don’t know why I spend so much time on this piddling, corrupted shell of a nation, other than that so many larger nations have lent it so much bad money. Greece will be expelled from the Euro currency in 2012, causing an uncontrollable debt cascade around the world, and NOTHING will be able to change its fate. God help the poor Greek people victimized by a government characterized by sloth and stupidity, which gave up the nation’s sovereignty to a cadre of foreign bankers in exchange for a decade of “free lunch.” A HYPERINFLATED drachma looms in the near-future, the first of MANY hyper-inflated fiat currencies the world over. In Belgium, it appears, once again, that all the king’s horses and all the king’s men can’t put Humpty-Dexia together again. In another serious blow to the few remaining Polyanas believing government money-printing can save the day, it appears even the DESPERATE Belgian and French governments cannot fathom the foul stench of bankruptcy emanating from this pile of bankrupt feces. Geez, if TPTB can’t agree on how to bail out a relatively small bank such as Dexia (although not small in absolute terms), WHO ON EARTH believes they will when bigger banks reach the crosshairs? Not that it matters, as the problem is not a lack of co-operation, but HOPELESSLY insolvent banks! And speaking of ramifications, we now have two of the three major U.S. rating agencies threatening a downgrade of France in the past two days alone. Amazing how the hallowed U.S. credit rating isn’t even questioned, DESPITE the utter, abject FAILURE of the “super committee” to agree to ANY spending cuts, with the U.S. debt ceiling scheduled to be raised from $15.2 trillion to $16.4 trillion by year-end to avoid yet another breach. And why are German rates rising sharply today, aside from the general economic contagion and their banks’ MASSIVE exposure to French and Spanish debt? Here’s why: IDIOTS buying German debt as protection against the rest of the PIFIGS pushed Bund rates too low, causing a MASSIVE failure in today’s Bund offering, to the tune of bids 35% LOWER than the amount offered! It’s only a MATTER OF TIME before the German Bundestag, at the behest of its ENRAGED population, cries “UNCLE” and unilaterally exits from the Euro Currency running and screaming. When this seminal event occurs, removing the only perceived pillar of strength in the Euro Community, HYPERINFLATION will spread through much of Europe, and many other parts of the globe, like WILDFIRE! On to the United States of Corruption, where the nation that accomplished more in a century than any in HISTORY, is working hard to destroy that progress in the space of a decade. Readers may believe I somehow am “happy” about this, which couldn’t be further from the truth. The reason I RANT so passionately about this topic is the anguish it causes me to watch the proud, strong nation of my youth become a steaming cauldron of ALL that is bad about humanity. Obscenely greedy and irresponsible leadership, combined with widespread, essentially unchallenged reductions in ethics, morals, and values have turned America into a ghost of itself, proficient only in its ability to wage war, increase debt, steal from its citizens, and shuffle toxic paper. Yes, a breed apart, and soon to have the privilege of being the only bank to be bailed out in 2008 as a stand-alone entity, and 2012 as a wholly-owned subsidiary of soon-to-be non- marginable Bank of America, hitting a new ALL-TIME LOW as I write and just 15 measly cents from falling below $5.00/share. Where art thou, Warren? …or CRIME Central, a/k/a JP Morgan. Nice charts, huh? Give me a call when GS and JPM break their 2008 lows, about the same time MS is HALTED to announce its PRINTED-MONEY bailout. And speaking of JP Morgan, do you want to know the REAL REASON why Precious Metals have been attacked so viciously this week, such as today’s ridiculous assault on silver just a day after it rose sharply? No, it’s not OPTIONS EXPIRATION, and NEVER WAS. The real issue is that December is a MAJOR physical delivery month on the COMEX, with ENORMOUS open interest just a week before first notice day on November 30th. Particularly in light of the MF Global collapse, it was looking likely that we finally would see major PHYSICAL delivery demands, potentially in amounts threatening the small inventories (if you believe they exist) on the COMEX. First we saw the FREEZE of thousands of COMEX futures accounts, such as Gerald Celente’s, which were destined to take physical delivery. Next, a sudden, MASSIVE buildup of silver inventory in JP Morgan’s account this week, of which I’d bet came illegally from the SLV trust they are the “custodian” of. And then, just a day after silver has a breathtaking technical upside reversal, JP Morgan decides to downgrade ALL COMMODITIES to “SELL.” Seriously, you can’t make this stuff up. The only thing more ridiculous would be if anyone listened to them, although, as I’ve noted countless times before, I do not believe there are ANY significant investing entities left in the markets, just GOVERNMENTS, their HENCHMEN (such as JP Morgan), and HIGH FREQUENCY TRADING ALGORITHMS. Once again, if you were DUMB enough to “trade” PAPER silver based on technical charts, you were raped. If you had just purchased PHYSICAL silver instead, you’d have no margin debt, no losses, and a significantly weakened JP Morgan, i.e. the Cartel, to contend with. Just a few more notes on the Fraudulent States of America, as I watch PAPER gold, for the third straight day, attacked at EXACTLY 10:00 AM EST, right at the PM Fix, to deflect the budding PERCEPTION that gold is a safe haven asset. In due time, readers, in due time, and probably A LOT sooner than you think. I could not let this ultimate hypocrisy pass, this paradox of stupidity that only the world’s most clueless politicians could even attempt. Yes, just ONE DAY after the “super committee” failed to cut as much as ONE PENNY from the ATOMICALLY EXPLODING U.S. debt and deficits, and one month after his $447 billion, UNFUNDED “Stimulus 2.0” plan was defeated so soundly it was never even voted on, Obama is on the “campaign trail” proposing a NEW stimulus package! Next, a few comments on REAL MONEY, i.e. PHYSICAL GOLD and SILVER, for those worried about a 2008-style market crash (which WILL happen, QE3 or not!). As I noted in yesterday’s RANT, despite the irritation of watching PAPER gold attacks such as today’s, gold is well above its July 2011 level while nearly ALL bank stocks are at, or near, HISTORIC lows. In other words, PHYSICAL gold has not only outperformed essentially ALL markets this year, but has ACCELERATED its rate of outperformance despite being under violent Cartel attack this Fall. Going back to 2008, when the Cartel viciously attacked PAPER gold and silver, to the same end of eliminating PERCEPTION that it is a safe haven asset, the financial sector is AT or NEAR its ALL-TIME LOWS of that period, while gold is $1,680/oz compared to $680/oz then, and silver $32.00/oz compared to $8.00/oz then. BTW, the only reason the financial ETF (XLF) is not at its 2008 lows is survivor bias, as I’m sure many of its components have been removed due to bankruptcy (no different than the Dow, which would be far lower than 11,300 with its bankrupted 2008 components – Citigroup, General Motors, and AIG). We are not quite at the “apples-to-apples” 2008 lows for the critical finance sector (which by the way, accounts for 30% of ALL U.S. “profits”), but don’t worry, we’ll be there soon, and when we do, you can bet gold and silver will be doing just fine. After the initial Cartel attacks on PAPER gold and silver in late 2008, both ROCKETED up sharply in early 2009 while the Dow cratered to its absolutely low, and I ASSURE you that is one aspect of history likely to repeat! 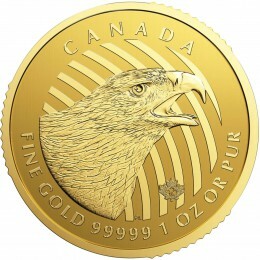 Given that the bullion industry (Miles Franklin included) had one of its STRONGEST MONTH’S EVER in September 2011, directly after the massive DEATH STAR attacks on PAPER gold and silver that commenced immediately after the Labor Day holiday, I’d bet we will shortly see another PHYSICAL BUYING FRENZY if the Cartel attempts to push PAPER gold and silver down much further. If this occurs, particularly during a period of severe market stress as we are seeing now, I’d anticipated EXPLODING physical premiums and delivery wait times, just as we saw in late 2008 before prices EXPLODED upward and never looked back. Moreover, if Sprott funds’ PSLV silver trust attempts an offering anywhere near the $1.5 billion face value of its current shelf prospectus, I can nearly guarantee the aforementioned panic conditions. 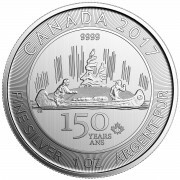 Given consensus estimates that UNDER ONE BILLION OUNCES of “investable silver” are available on the planet, much of it which is not available for sale, $1.5 billion of PHYSICAL silver would represent roughly 5% of GLOBAL SUPPLY, and likely closer to 15%-20% of global supply AVAILABLE FOR SALE. Once again, I cannot emphasize enough how scared you will be trying to buy PHYSICAL gold and silver in that kind of supply-limited environment. Given that the GLOBAL FINANCIAL SYSTEM looks ready to COLLAPSE at any moment, I STRONGLY URGE readers to consider ALL OPTIONS to PROTECT THEMSELVES, NOW! Finally, to the topic of today’s RANT, “FLIGHT TO SAFETY.” Man, it is now taking me two hours to get through the day’s “horrible headlines,”, and I sense it will shortly take three, then four, then…. OK, what I want to talk about today is PRAGMASTISM with regards to the aforementioned topic. As in, what is actually a “safe haven asset” compared to the popular propaganda. Yes, Treasury Bonds have risen this year during the early stages of economic armageddon, but even an elementary school dropout will soon recognize U.S. interest rates cannot go down forever, particularly when they are already close to ZERO and the rest of the world’s sovereign debt is melting down in epic fashion. Having the “world’s reserve currency,” as well as a dominating grip on illegal interest rate swap transactions, has enabled the U.S. to hold rates down far longer than logic would suggest; by the way, PRECISELY why it is so important to attack PAPER gold and silver prices. However, at some point rates will turn back up with a vengeance, while consumer price inflation could spike up sharply AT ANY MOMENT, negating bond gains and causing a rush to PHYSICAL gold, silver, and other necessary commodities such as food and energy. Moreover, holding Treasury Bonds entails a slew of other risks, such as bank holidays, market freezes, and tax law changes. I view U.S. Treasury Bonds to be the GREATEST BUBBLE OF ALL TIME, which could rise a wee bit further in the near-term but will ultimately crash and burn like all other bubbles before it, from the internet, to real estate, to consumer spending. PRAGMATICALLY, how wise is it to hold large positions in these land mines, no less at banks and brokerage firms in danger of being shuttered each and every day? PHYSICAL gold and silver, on the other hand, has NONE such risks, particularly if one is smart enough to avoid leveraged financing. I cannot emphasize enough how soundly I now sleep, the soundest since an innocent babe, knowing my PHYSICAL gold and silver CANNOT, and WILL NOT, lose purchasing power for the entirety of my life, and many, many generations thereafter. PHYSICAL gold and silver have held their purchasing power for 5,000 years of history, and will do so for 5,000 more, with the added bonus of an HISTORIC increase in such power in the coming years as fiat currencies, one after the other, burn to the ground as the greatest experiment in financial stupidity of ALL-TIME, the U.S. dollar reserve standard, ends in catastrophic fashion. That said, even buying PHYSICAL gold and silver is fraught with danger for the inexperienced, of which roughly 99% of the world’s population fits that classification. In fact, I’d bet half of all people that have purchased Precious Metals are unaware of how the industry works, including myself until very recently. Just like any bull market, particularly one occurring during a period of economic calamity when millions are DESPERATE for cash, the number of gold and silver schemes to STEAL YOUR MONEY has recently exploded. And I’m not just talking about “Cash for Gold” firms and pawn shops that pay huge discounts to melt value, but genuine Ponzi schemes and other complex frauds. As I noted in one of my first RANTS upon joining Miles Franklin last month, it is shocking how quickly competitors are falling by the wayside. Competition is very strong in the bullion business, and as we approach the END GAME for both the global financial system and gold Cartel, the premium on quality service will rise exponentially, in my view. I know well the angst of purchasing bullion in an uncertain economic environment, one in which the “final straw” may be drawn on ANY GIVEN DAY. Consequently, I gravitate toward firms I KNOW are honest, have reliable access to inventory, and are working in my interest, which is why I joined Miles Franklin as Marketing Director this Fall. The dealer you use is a function of personal preference, as a number of companies give excellent service. Some focus on personal needs, some on bulk orders, some on internet sales, etc., but irrespective the most important factor should be that you TRUST them with your hard-earned money. Part of the reason our business is so competitive is its nature – a limited supply, commodity-like product, and sporadic demand cycles. However, equally important is the aforementioned FRAUD, which can come in various shapes and sizes. For example, Miles Franklin is the largest bullion seller on eBay, the result of years of hard work and positive customer feedback. However, if one does not know what they are doing, and who they are dealing with, they could lose their money on eBay in an instant. For example, one particular eBay seller, whom was around for more than six years and which some of you may have dealt with, was recently raided for running what appears to be a Ponzi scheme. To the chagrin of Miles Franklin and other competitors, this seller had been selling at just above spot price for some time, yielding speculation that something was amiss given that such pricing was clearly unprofitable. Sure enough, from tracking the customer feedback, you can see precisely when (this Fall) the seller stopped generating enough income to send out new shipments. Dozens, if not hundreds of eBay buyers lost large sums of money in this scam, from a long-time eBay seller whom appeared legitimate but was not. From years of working with small mining companies, I have seen first-hand the level of fraudulent business activity in South Florida, which for some reason attracts an enormous amount of pump-and-dump operations and other, various, fraudulent schemes. And don’t think large firms aren’t suspect as well. I am making no statements about the allegations against Kitco, the firm synonymous with gold pricing due to its popular website. They have been in business a long time, and I am not aware of any previous allegations against them. 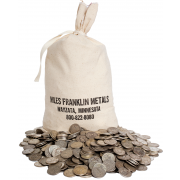 That said, I have always had suspicions of Kitco given that the “face of the company” (as I am with Miles Franklin) is none other than Jon Nadler, whose job is to promote Precious Metals yet has spent the past ten years denigrating them and stating his belief they would fall in price. That alone has prevented me from even dreaming of dealing with them, and I cannot say I was surprised when the following allegations against Kitco surfaced in June. 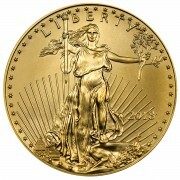 Only time will tell if they are exonerated, and/or the charges in any way related to their bullion selling practices. But irrespective, it should serve as a warning that when buying Precious Metals, you should be very careful who you deal with. Finally, off the topic of specific dealers, I wanted to focus on one of the most important topics related to safe haven investing, that of POLITICAL RISK. I have made it more than clear that I believe mining stocks will at some point be decimated by nationalization fears, the inevitable result of transition from a monetary system based on government-printed fiat to that of REAL MONEY, i.e. gold and silver. Regarding possession of the metal itself, it would be both misleading and negligent to ignore the fact that nationalization and/or expropriation are not real risks, particularly when bankrupt governments become desperate enough to issue draconian laws. In previous RANTS, I stated my belief that such an event would be very unlikely in the United States, and even if it did, that it would be very difficult to enforce. After all, when FDR officially expropriated gold in 1933 (only possible, by the way, because the U.S. was on a gold standard), barely any was actually returned to the government, with the great majority of the expropriated gold taken from the public domain, i.e. gold stupidly stored in bank safety deposit boxes. Regardless of what laws are enacted in the future America (and future world), PHYSICAL gold and silver will CERTAINLY be worth more than fiat currency, and likely ALL other asset classes. Fiat currency itself may be literally worthless, and I know I’d rather have valuable bullion then worthless fiat in ALL instances. Moreover, in purchasing PHYSICAL gold and silver, you have many options as to what form to buy, how to store it, and where to store it. Some people prefer to keep their metal in hand, others in domestic storage facilities, and still others offshore. All such alternatives are available, and Miles Franklin is happy to help you explore these options, such as our vault storage programs in both the U.S. and Canada. As we head into the Thanksgiving holiday, I am thankful for the blessings of my life, and hope my readers are peaceful and prosperous in the coming years.